In today's Sunday paper Tom a Ray of the Car Guys of NPR had a question from a geezer about a geezer car. 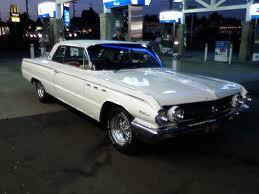 The questioner indicated that his definition of a geezer car was a Buick with slushy steering and suspension. A soft ride and not too crisp cornering. He wanted advice on how to get the power windows to go up and down quickly since it was taking miles to get the window down for the toll booth. Tom and Ray had some good advice and did suggest if the car was really old, maybe it was time to retire it. I don't know what others may define as a geezer car but I do know that the driver safety course from the AARP had a suggestion for the appropriate car for seniors. Their advice was to go for a mid size sedan that had good all round visibility from the windows and mirrors. We were advised to stay away from the monster boats like the Lincoln Continentals and the Cadillac's etc. I checked out the parking lot where our class put their cars. For the most part the geezer guys were driving big boats. Twenty feet long and seven feet wide. So much for the instructor's advice. I doubt if any of them went out the next week to downsize their vehicles. I think that most geezers grew up aspiring to have a bigger and more pretentious car and with sufficient success their dreams were fulfilled. My most recent new car has been the mid-size 2009 Toyota Camry sedan. Both big enough and small enough for this geezer. And we all know this car has great acceleration! Readers - I would be curious what models you think are geezer cars.